Starting two weeks ago, I decided to use my daily green drink as a snack replacement. Meaning, my mid morning and mid afternoon snacks are now a green drink. I blend a 32-36 ounce drink each morning, I drink half of it mid morning, store the rest in the refrigerator and drink the other half mid-afternoon. I have finally worked my way over to more vegetable based drinks than fruit based. I find them to be more filling and they give me more energy throughout the day. 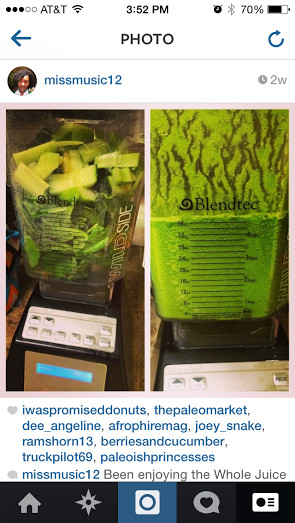 I can’t call them juices, even though I do use the Whole Juice setting on my blander because I drink the pulp. However, I don’t know if I would call them Smoothies because even though I may use the smoothie setting instead, they do not come out thick like a smoothie. 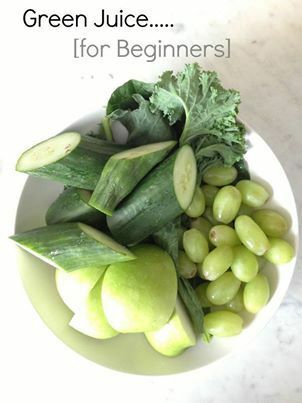 My drinks so far have been Mean Green and a Green Juice for beginners recipe. The Mean Green was pretty good, and is one I will make again. The green juice for beginners has been tolerable, but not one I will repeat. I am on the hunt for another recipe to try next, so if you have any you recommend, please put it in the comments box below.